Great backyard wet combo will cool you off on those hot days. 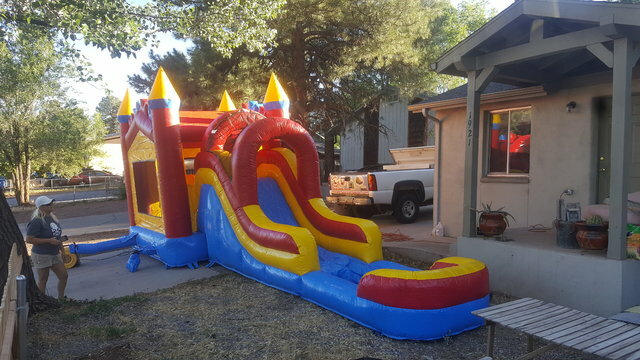 Includes a bounce house with some obstacles in it and a 5.5' water slide. Great for all ages.